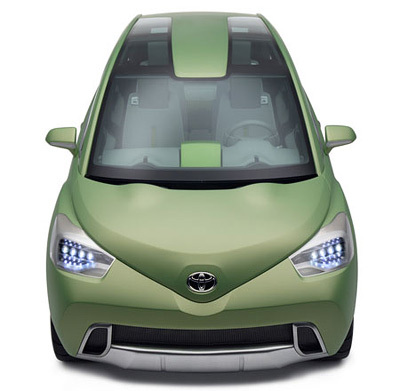 The Toyota Urban Cruiser was a concept vehicle created by Toyota's European Design Center. 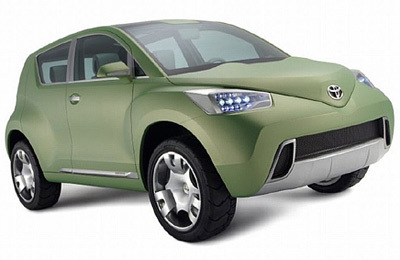 The Urban Cruiser was debuted at the 2006 Geneva Motor Show as a nonfunctional full-size model. 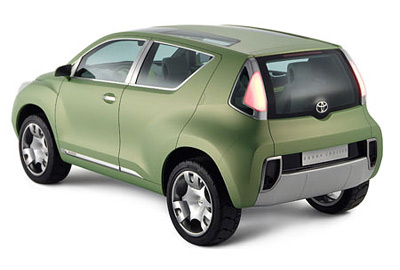 The Toyota Urban Cruiser was a compact-SUV which was smaller than the company's RAV4 model. It featured a rather unusual exterior design which was more quirky than stylish. 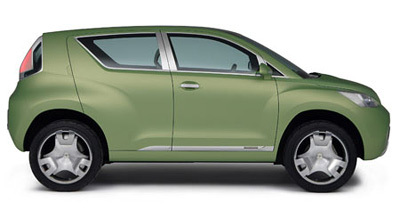 The front end was especially ugly, and featured an odd beak-shaped hood, and a grille with two fang-shaped inserts. The rear lower bumper mimicked the appearance of the front grille. The interior of the Toyota Urban Cruiser was vastly superior to the exterior. Designed by Yi Yeong Jae, the interior was inspired by fashion and modern furniture design. The interior featured very organic, flowing shapes, and a striking center console which seemingly flowed as one-piece out of the top of the dashboard. This console featured clever backlit lighting which could display information or navigation in a soft and subtle manner. In the end Toyota decided not to put the Urban Cruiser into production. Which is probably a good thing. Ugly doesn't usually sell well.